Beasts have always been one of the most important elements of Knight’s Fable– one of the free to play rpg games. With powerful skills and cool looks, they can give you a sense of security when you face furious devils alone. Even though they only have one skill, it is more than enough. One skill can help you reverse the battle. In order to empower beasts even further, we have developed a brand new system: Beast Melee, where you can improve your own beasts by challenging against those of other players. With unique special effects, even weak beasts have a chance to win against much mightier ones. Melee is not just a platform for winning and losing, but more of a place where you can study the best combination of each beast along with special effects. It is also a good way to learn the strengths and weaknesses of other beasts by challenging them even if you don’t own them. With this new Beast Melee gameplay, we have added new content for players to perform for their daily tasks. This Melee battlefield is more likely a place to assist everyone’s efforts with cultivating their beloved beasts instead of just a mindless bloody killing match. Different from what we usually have as beast against beast, we’ve created a new fighting mode for this system: card against card, making this process a bit more casusal. 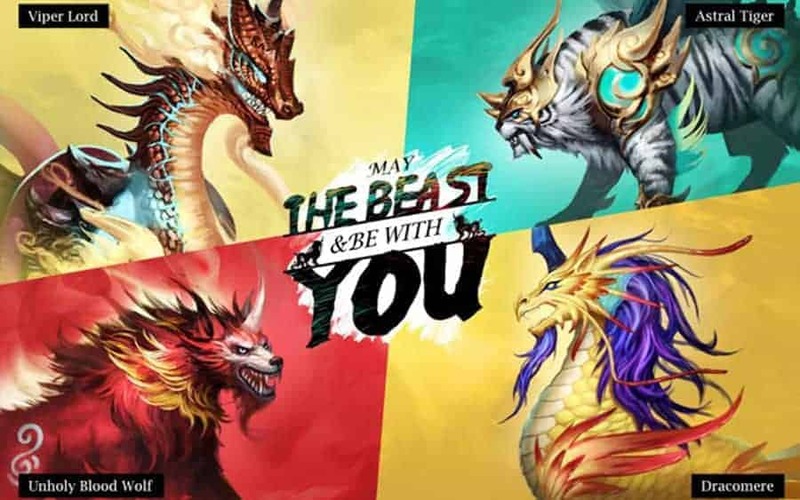 Once you log on to the game and join in Beast Melee, the match is over very soon and you can watch the two beasts challenge each other in a peaceful and delicate way. It’s just that simple and relaxing.